Two years ago, the LIGO gravitational wave detector stunned the world with the discovery of a merger of two black holes. This past August, LIGO did it again: with the help of a second detector called VIRGO, it discovered a new source of gravitational radiation. Seconds later, NASA’s Fermi satellite detected a gamma-ray burst from the same direction. Several hours later, a telescope in Chile identified the source at a Galaxy located 120 million light-years away. While this is an enormous distance for us, on a cosmological scale it is relatively close. Since these initial discoveries, most of the telescopes in the world, including the Hubble Space Telescope, have observed this galactic event. The results, which have been kept secret until now (despite a partial leak), are reported today in several scientific papers published in the prestigious journals Physical Review Letters, Nature, Science, and the Astrophysical Journal. These observations confirm a longstanding prediction made almost thirty years ago by a team headed by Professor Tsvi Piran at the Hebrew University of Jerusalem. Piran is the Schwartzman Chair for Theoretical Physics at the Hebrew University’s Racah Institute of Physics. The prediction, published in Nature in 1989 (“Nucleosynthesis, neutrino bursts and γ-rays from coalescing neutron stars“), suggests that when two neutron stars merge they emit, in addition to gravitational waves, a burst of gamma-rays. They also synthesize and eject to outer space rare heavy elements, like gold, plutonium, and uranium. The merged neutron stars form a black hole in this process. Neutron stars are rare types of stars that are produced in supernova explosions when a regular star dies. Unlike regular matter that is composed of 50% neutron and 50% protons, neutron stars are made just from neutrons. Due to their strange composition, they are extremely dense: a teaspoon of neutron star matter weights about 100 million tons, and a neutron star of 10 km (smaller than the width of Jerusalem) weights about a million times the mass of Earth. The first neutron star was discovered in 1967 by Antony Hewish, who received the 1974 Nobel Prize in Physics. Later a binary pair of neutron stars rotating around each other was discovered by Hulse and Taylor, who were awarded the 1993 Nobel Prize in Physics. Shortly after the discovery of a binary neutron star pair in 1975, researchers realized that such a pair would emit gravitational radiation and eventually merge. The question that Piran and colleagues asked in 1989 was: in addition to the gravitational radiation, what else will be emitted as a result of this merger? They suggested that the merger will produce a burst of gamma-rays — which have the smallest wavelengths and the most energy of any other wave in the electromagnetic spectrum — and at the same time will synthesize and eject into outer space freshly synthesized heavy elements like gold, plutonium, and uranium. 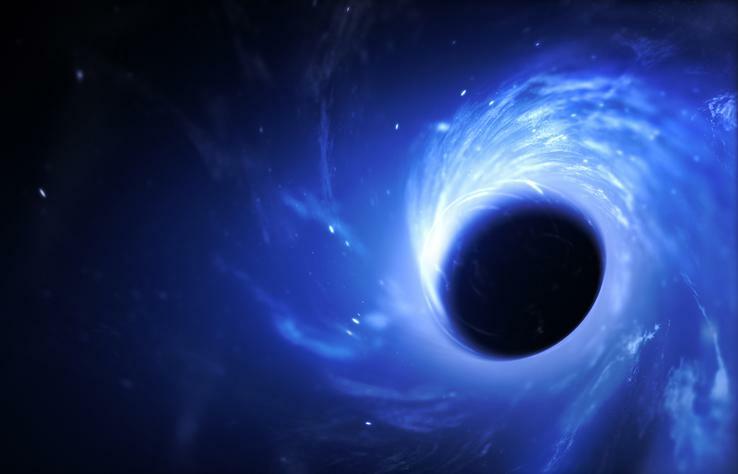 The ultimate result will be a black hole. LIGO’s observations have now confirmed that the recent event involved a binary neutron star merger and the formation of a black hole. The Fermi satellite detected the predicted gamma-rays, and the optical observation confirmed the nucleosynthesis of heavy elements. All of this is published today in multiple research papers, with Piran’s participation in several papers published in the journals Nature, Science and The Astrophysical Journal. These observations solve several puzzles that have bothered astronomers over the years and open new ways to understand the nature of our Universe.